In Dewberry Hall during George Mason’s annual Fall for the Book festival, Harvard alumnus and new Mason professor Tania James spoke to a packed crowd of eager, rain-soaked undergraduates. I was privileged enough to be one of them. “I really was expecting to read to only two people,” joked James, author of the well-received novel The Tusk That Did the Damage. And while I was prepared to pester her with questions about the unique perspectives in her latest novel, she made clear that she had turned the page to the next section of her life, moving beyond this latest piece. For one, she’s a recent mother, and is more recently escaping a year-long writer’s block following childbirth. With less time on her hands, now she writes in “short bursts,” as opposed to forcing herself to write for extended hours. James recounted that previously she spent long periods of time writing “because [she] had to,” but now believes that time wasn’t used efficiently. It’s a predicament I believe every writer can relate to: the desire to produce, or else face the chest-gripping sense of guilt. “It’s a waste of time to work on one thing if you’d rather work on something else,” she said. Amidst all these exciting life changes there is one writing ritual James still abides, one from before her days as a mother: the first two hours of each morning are dedicated to the craft. Currently, James is interested in what she calls the “weirdness of early motherhood.” In this transitory period of her life, now she’s drawn towards writers who have a surrealistic take because she feels surrealism speaks to her own experiences of past events – specifically to her own experience with motherhood. This new perspective captivated me. It seemed to provide a new source of inspiration, a way to dwell on the most confusing of reflections, and to appreciate them not necessarily for how they actually occurred, but for how they are remembered. When asked how she balances surrealism in otherwise realistic stories, she said that the voice should not be trying to “convince;” it should not linger in trying to explain or rationalize the science of the world, and should instead state what is occurring with authority. By explaining the inner workings of our worlds, we bring unnecessary attention to the reader’s suspension of disbelief. In the concluding moments of the reading, James spoke on the dichotomy between a novel-length work and a short story. To her, a novel is the culmination of life lessons and perspectives gleaned over a period of several years of the author’s life. A novel is essentially the product of “countless inspirations,” and I truly believe this to be evident in her works. In contrast, James said that a short story has an intense focus – such an intense focus that it’s impossible for her to see past the borders that this single inspiration has framed for her. Before the applause of damp hands and the formation of a queue by the author’s desk came the inevitable question during any reading: What inspires you? in December, 2016 with a BA in English. Speaking to themes found in his Oprah Book Club bestseller, A Lesson Before Dying (Vintage 1994), Ernest J. Gaines headlined events Sept. 28 at the 2015 Fall for the Book festival. In an event at George Mason University’s EagleBank Arena, Gaines joined Professor of English and African American Studies, Keith Clark, where the two men discussed the seedlings for Gaines’ novel, and its significance in bringing awareness to racial understanding. “Everyone learns something,” Gaines said of the characters in his novel, though he could easily have been referring to himself and the audience. Gaines received a 1993 Macarthur Foundation Fellowship “Genius Grant,” which he won for brilliantly illustrating racism in his novels, drawing from his own history of dealing with prejudice. Due to segregation laws in the south, Gaines had never stepped inside a library until he left Louisiana. When he eventually moved to California, where he was finally able to visit a library for the first time, he “had never seen so many beautiful things,” he said. “I found I could sit there all day long and dream.” This dreaming led him further into his career, creating characters who resonate with readers. Gaines concluded with a reflection on his character, Jefferson’s death in the electric chair. “As a writer, I am going to write it so well, you’ll feel it,” he told Clark and the audience. Not unlike the powerful resolution to A Lesson Before Dying, it was a powerful ending to the conversation, the effect of his words clearly palpable within the audience. He said, for each person, he or she will gain an understanding of something in their life. For Gaines, it was creating characters, even as he was only just growing into a man himself. He advised younger audience members to keep pursuing their individual gifts until their own words become powerful too. Kelly Foster is a first year poet in the Bachelors of Fine Arts, Creative Writing program at George Mason University. She has lived in Northern Virginia for the past 10 years. Foster's post was selected as the winner of the Moonshine Murmurs Ernest J. Gaines Blog Contest. Honorable Mention: Ana Machado Silva. James Thomas, editor of the Flash Fiction and Sudden Fiction volumes of very short stories, was on campus March 24 sharing his advice with George Mason University MFA students on the form of flash fiction and several readings from his newest addition to the short fiction family, Flash Fiction International (W.W. Norton 2014) which hits shelves April 13. Thomas, who completed his own MFA with Bowling Green State University in Ohio, opened the workshop with a reading from “A Fable," a story from the inaugural edition of Sudden Fiction (Gibbs Smith 1983); “The young man was clean shaven and neatly dressed,” Thomas read, the description a stark contrast to Thomas’ own thick, graying beard, gold necklace, and brown suede vest and T-shirt. His demeanor was laid-back and he was immediately approachable, frequently cracking jokes and encouraging conversation within the group. After a quick break for a bit to eat and a smoke, Thomas’ more formal reading began. Following a short introduction from friend and fellow writer Alan Cheuse, Thomas read from his newest collection, which he co-edited with Robert Shapard and Christopher Merrill. One of the stories he read detailed an insomniac who can’t sleep even after he commits suicide, while another, “The Light Eater” followed a woman who eats light bulbs to summon home her lost lover. Most of the pieces contained elements of magical realism, a genre that seems to be making a popular comeback, perhaps especially with the short form. Brittany is a third year fiction candidate in George Mason University's Master of Fine Arts program, where she also teaches English Composition, Literature, and Creative Writing. Her work has previously appeared in Paper Tape Magazine, Driftwood Press, Four Ties Review, and Cactus Heart Press. She resides in Washington, D.C. with her fiancé and their many pets. Lucas Mann wears a humble smile as he passes out a story he wants us to read. It’s not one that he has written – this particular piece is about a journalist who endangered his life during the Vietnam War in the name of a new kind of reporting. We discuss the ethics of such a piece and what it means to immerse oneself in a specific place in order to write about it. Mann too has immersed himself in this way, except that his place was a small town in Iowa, where he watched a lot of men play (and lose) a lot of baseball, and sometimes he dressed up in a giant suit as the team’s mascot, ‘Louie the Lumberking’. He talked with us about this type of reporting, or nonfiction – about “showing up somewhere and simply not getting turned away” – and what kinds of projects can take shape when writers are allowed to stay and really come to know a people and a place. Mann’s book, Class A: Baseball in the Middle of Everywhere (Vintage 2014), is a lovely example of what can emerge from hunkering down and observing a subject until a writer finds the story; that team, those men, that place. Class A is an explication of what Mann observed in Clinton, Iowa: men imported from around the world to play baseball in one of the lowest-level leagues that exists; the people who populate the stands; the workings of the town itself. It shows us an enigmatic factory on the edge of town that emanates a terrible smell, the train-cars filled with tons upon tons of corn being shipped out of the Midwest for processing and livestock feed, photos of players’ girlfriends – who the men call a “blessing” – and other instances of surprising humanity that tug at the heart. I learned a lot from Class A, from Mann’s decision to begin in medias res, in which he “enter[s] his torso” (code for pulling on his mascot outfit to become Louie the Lumberking) to the effective portraits he paints of both people and place. His writing – and his teaching style – captured even this decidedly non-baseball-loving reader’s attention. Emily Heiden writes creative nonfiction at George Mason University, where she also teaches composition, creative writing, and literature classes. She will graduate with her Master of Fine Arts degree this spring. She holds a Master of Arts in Teaching from the University of Iowa and a Bachelor of Arts in English from the University of Connecticut, which is her home state. I have read Wendi Kaufman’s short stories again and again. When Stillhouse Press first selected her collection as its debut publication, I devoured them. When the books arrived in our offices the morning that we learned Wendi had passed, I found consolation in them. In the months that followed, as we organized an early release of Helen on 86th Street and Other Stories and fervently promoted the collection, I came to know her narrators intimately. Wendi never had the opportunity to complete an interview about her book, but her voice lives on—powerfully, enchantingly, painfully—in this voice-driven collection. Mary Kay Zuravleff (Man Alive! ), who penned the introduction to Helen on 86th Street and Other Stories, remembered Wendi’s ebullient energy, which had the power to inspire writers of all backgrounds, young and old, established and emerging. “She brought the party to the room,” said Zuravleff, who shared memories about informal literary salons on the Kaufman front porch and her work with the Changing Lives Through Literature Initiative, through which Wendi taught creative writing to female juvenile offenders. “My girls, she called them,” Zuravleff remembered warmly. Scott W. Berg (38 Nooses)—a long-time peer of Wendi’s and co-founder of the Rotisserie Writers Group, which she and Berg and three other graduates of George Mason University’s MFA program maintained informally for the better part of 20 years—reflected on the early iterations of “Helen on 86th Street,” the title story in Wendi’s collection, which was first published in The New Yorker in 1997. “She caught lightning in a bottle with [that] story,” he said. “Helen on 86th Street” was easily Wendi’s most successful story, appearing in The Best American Short Stories, The Elements of Literature textbook, and later adapted into a play, before becoming the face of her full collection. I’m supposed to hit my fist against my chest, draw a hand across my forehead, and cry loudly. Mr. Dodd has shown me this gesture, practiced it with me in rehearsal a dozen times – the last line, my big finish. The audience is very quiet. In the stillness, there is a hole, an empty pocket, an absence. This scene—like so many in Wendi’s stories—resonates with the reader, because we find ourselves so completely drawn into the mind of the narrator. “Her voice in this collection of stories is a magnetic blend of strength, humor, and compassion,” said Martínez, reflecting on the power of Wendi’s narrative voice. And it’s true. These very elements are what initially drew me to her collection. As a young woman, I find so much veracity in her stories. They feel so true to life. They remind the reader that life is not without its ups and downs, its painful truths, which are made endurable with just the right balance of humor—a technique which Wendi so elegantly employs—and the compassion of others. Knowing this, I can’t help but feel the impulse to want to read Wendi’s collection all over again. Helen on 86th Street and Other Stories (Oct. 2014) can be found at: www.stillhousepress.org/helenon86. For more information about Wendi, please visit the “Authors” tab at the top of the screen. In an effort to share her stories with others, Stillhouse Press is open to arranging readings from her work. If interested, please contact: Meghan McNamara, media@stillhousepress.org. 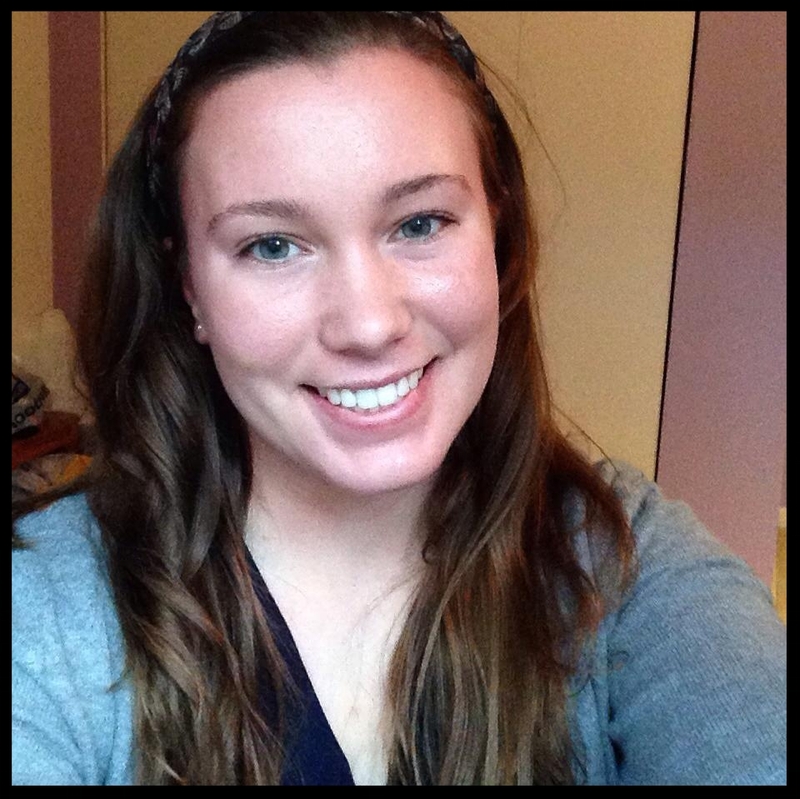 Meghan McNamara is a third-year fiction candidate with George Mason University's Creative Writing MFA program. She serves as the Director of Media and Communications for Stillhouse Press and was one of the principle project managers for Wendi Kaufman's short story collection. She currently resides in Arlington, Virginia, where she is at work on a novel length work exploring addiction and relationships, told through the lens of a female protagonist.